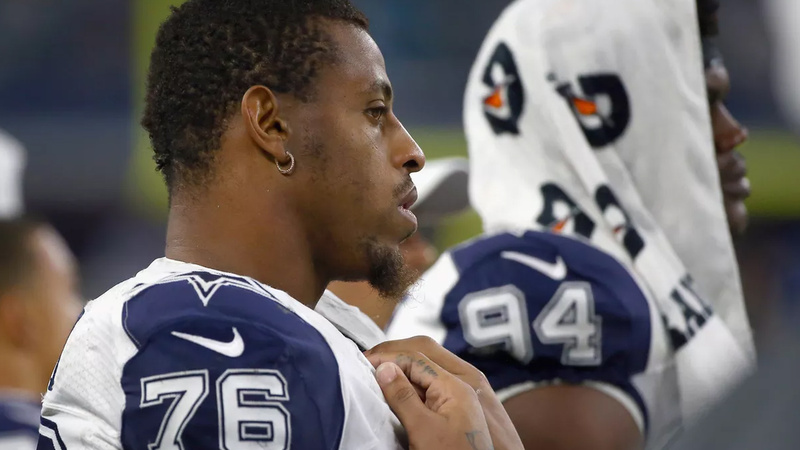 Former NFL player Greg Hardy, whose promising career destroyed after charges of domestic violence and continued behavioral issues, was recently signed by UFC following his impressive MMA debut. Hardy defeated another former NFL player, Austen Lane, via 57-second knockout on the Tuesday Night Contender Series. UFC president Dana White was well aware of Hardy’s past and believes he deserved to get another chance to rebuild his life and wants American Top Team fighter back in action as soon as possible. Now it seems like Hardy’s return may be more delayed, as a recent report by ESPN, He suffered a knee injury in the first quarter of his contest with the Richmond Roughriders of the American Arena League on Saturday night. Hardy expected to get his knee examined by a doctor in the next few days, which will clear up the severity of his injury. The 29-year-old last played in the NFL in 2015, and after turning to MMA the following year he goes 3-0 as an amateur, all won by the first-round stoppage as well.